When a professional makes an investment in a camera, several things come into to play. First, the technology, how future proof is this camera? For Canon, their cameras get an upgrade once every three to five years. During that time, the owner knows that if he takes reasonably good care of the camera, his investment is relatively safe. The expectation is if you fall upon hard times, or even need some other piece of expensive gear, and need to liquidate your assets, a high-end camera from Canon should hold its value until a new model replaces it. However, this has now changed for owners of the EOS 1D C which Canon recently discounted a whopping $4000. So if you’re one of the many shooters who have invested in the 1D-C, you just lost one third of your investment in the course of a day. To be fair, the 1D C was released in 2012, so it is an older camera. Its ability to capture 4K images is likely the reason many picked up the camera over the past couple of years, though it could be argued that the few other 4K DSLRs on the market (Sony A7S and Panasonic GH4) offer more features for less price. Even taking all of that into account, a $4,000 price cut on anything, let alone a Canon camera, is jarring. Canon isn’t generally a fan of discounts, with minor ones usually cropping up here and there, and usually in the form of a rebate. So people’s desperate attempts to find the reason for the drop have mostly been that Canon is gearing up for an updated version of the 1D C. This isn’t atypical, with Canon’s 3-5 year update schedule, usually discounting the previous model by a minor amount. However, the only new cameras on the horizon (for now…it is Canon after all) seem to be the new 750D and 760D, both entry level DSLRs. 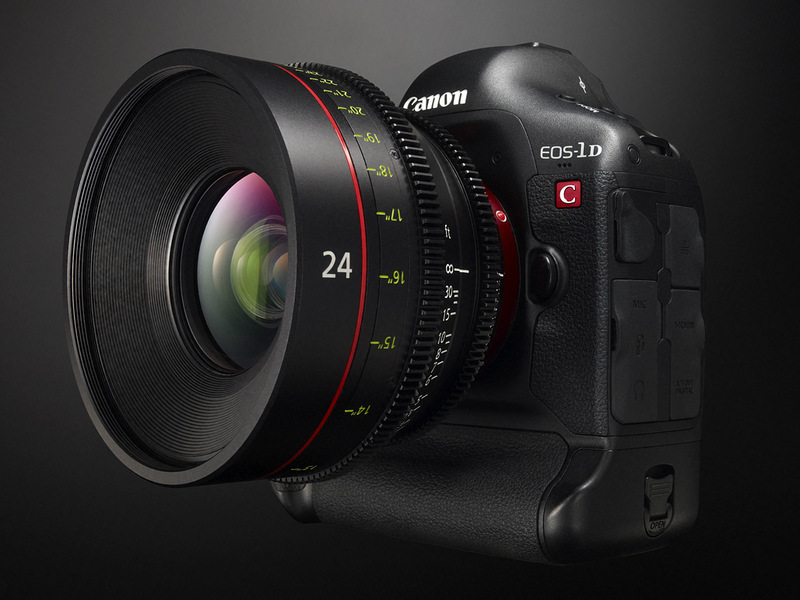 Or perhaps, in answer to the A7S and GH4, Canon is trying to make it an attractive and competitive 4K alternative. Again, it seems they were the first DSLR with 4K capabilities, so perhaps they see the price drop as merely keeping up with the times. Though if that’s the case, then it would be nice of them to give a bit of a heads up, maybe even extending those who bought it in the last month or so some sort of rebate. In either case, current owners are understandably none too pleased. I’d hate to be the guy who bought his 1D C on January 31st, only to wake up the next day to find he could of bought it for $4,000 less if he had waited 24 hours. however for those on the fence about buying a 1D C, it suddenly became a more practical buy. Visit www.USA.Canon.com for more info on the 1D C.